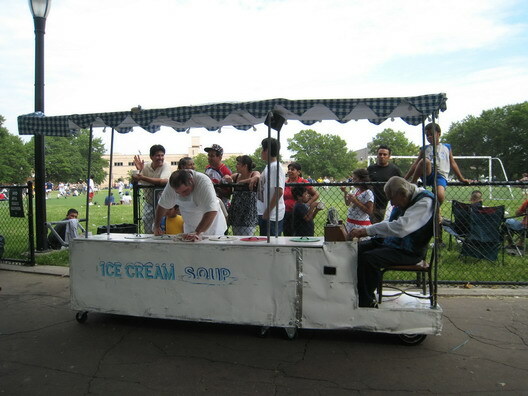 I was eating at the Red Hook park food vendors when an odd ice cream cart came through. 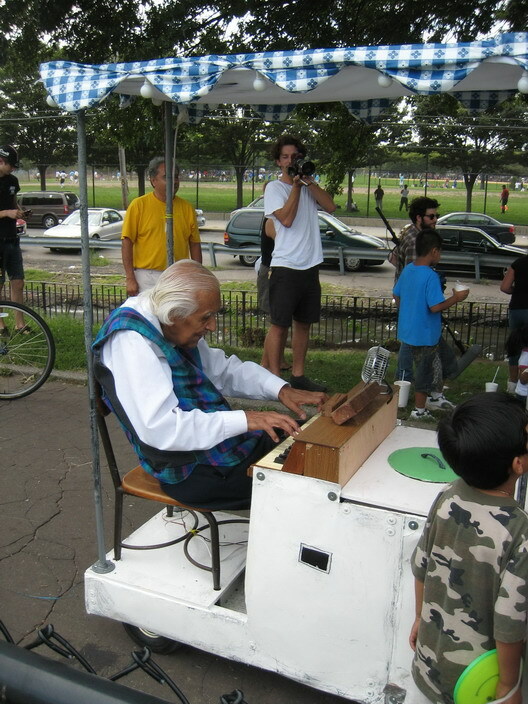 An old man sitting at the end was playing a piano like instrument while another pushed the cart. Along the side of the cart read "Ice Cream Soup". A team of film makers were following the cart as people swarmed around it to get a look. They were giving away free ice cream, apparently to make a short film. I asked the film makers about it and they told me to check out their website at redbucketfilms.com. Some of their films are interesting, such as giving a dollar to people on the street for 50 cents. Whatever the point, it was interesting to look at, listen to and watch kids line up for free ice cream. Whoever said that nothing in free... well I guess the signed waver to be in their video may be the rub. saw this on sunday as well, except they were all out of free ice cream by that time and the kids hoping to get some didn't look all that happy.